The Main Campus of Mindanao State University (MSU) is within 5-km of ground zero of the 2017 Marawi City siege. About a year after the siege the Department of Physics of MSU–Main Campus has jump started from this upset. This report compares the status of the Department before and after the siege, as well as its future projections for Physics Education in the area. It will acknowledge the support and opportunities that have arrived from various agencies and institutions to uplift the condition of the Department. The insights gained from recovery efforts will also be shared. Jae Lord Dexter Filipinas is the current chairperson of the Department of Physics at the Mindanao State University–Main Campus in Marawi City. He started working as faculty in MSU in 2006 after finishing his undergraduate degree in the same campus. He obtained his MS degree in Physics from the National Institute of Physics of the University of the Philippines Diliman in 2012. His research interests include digital holography and microscopy. J. L. D. Filipinas. 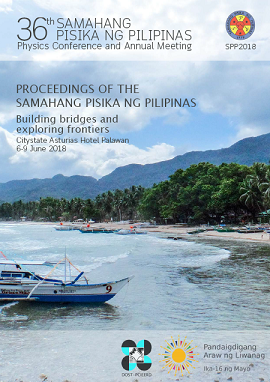 Challenges of physics education in Mindanao State University–Main Campus: A post-siege Marawi, Proceedings of the Samahang Pisika ng Pilipinas 36, SPP-2018-INV-1C-01 (2018). URL: https://paperview.spp-online.org/proceedings/article/view/SPP-2018-INV-1C-01.